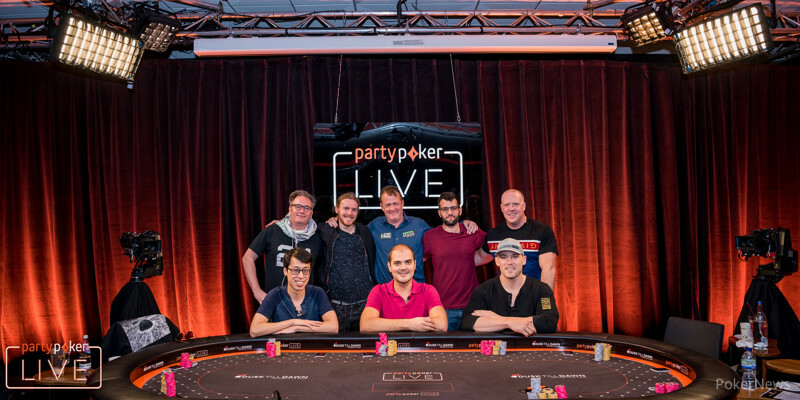 After a slight delay, Day 1a of the 2018 partypoker LIVE MILLIONS UK Main Event started and at the end of the day, 38 entries were collected. Those 38 entries included three reentries and of those 38, 18 players managed to find a bag at the end of the day to tag. 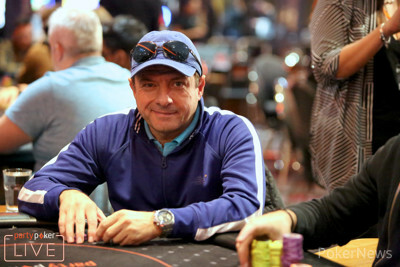 Claiming the Day 1a chip lead is Turkey’s Serkan Ersoy with 4,830,000 in chips. Ersoy was slowly collecting more and more chips but got most of them when he eliminated Erik Friberg with ace-queen against the pocket queens of Friberg. 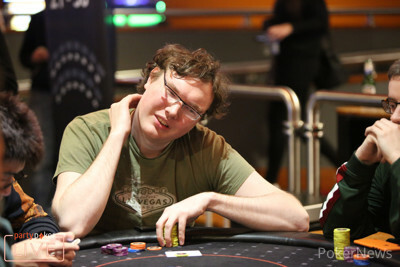 The ace fell on the flop to propel Ersoy into the chip lead, and that was a spot he didn’t want to give up during the later levels of the day. Trailing Ersoy in the chip counts is Florin Sucala from Romania with 4,085,000. Is it going to be the year of Romania in Nottingham too? Sucala is definitely hoping so. Sucala took some of Rifat Palevic’s chips when he flopped top pair against him. Sucala also eliminated Javier Zarco and Kristoffer Rasmussen to take him to his current position. Closing the podium in third place is UK’s own Simon Higgins who bagged 3,840,000. Other notable players who made it through to Day 2 include Guillermo Sanchez (3,150,000), Mark Gardner (2,100,000), David Lopez (1,850,000), Ben Dobson (1,780,000), Niall Farrell (1,550,000), Paul Newey (1,360,000), and Orpen Kisacikoglu (985,000). Not everyone got lucky enough throughout the day though. partypoker pro Sam Trickett was eliminated when he shoved on the flop with a straight and flush draw but didn’t get there against the aces of Andrew Mapp. Palevic busted both of his bullet, as did Arran Fletcher. Other players failing to get to the end of the day include Paul Dando, Andy Black, Nabil Cardoso, and Yani Yanev. Players will get another chance to try to make it to Day 2 as there are still more £550 satellites to come, two more Day 1s and players can even still register during the first four levels of Day 2. Make sure to come back at noon tomorrow, Tuesday, October 2, as Day 1b will be attracting even more players to Dusk Till Dawn and the PokerNews live reporting team will be on hand to bring you all the action. Eighteen players have bagged their chips at the end of the day for Day 2, Thursday, October 4. The full chip counts and a recap of today's action is to follow. The tournament clock has been stopped and Ben Dobson drew the four so the players need to play four more hands before they can bag and tag their chips for Day 2. 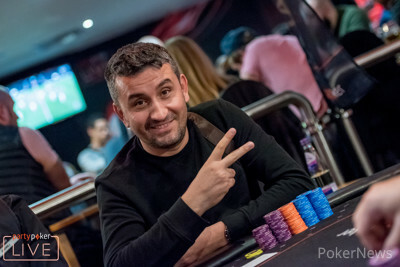 Tolga Istek and Jonathon Prested have both just been eliminated by Neel Murthy and Guillermo Sanchez which means that the tournament now still has 18 players left spread out over three tables. David Lopez raised to 50,000 from mid-position and everyone folded to Arran Fletcher in the small blind who shoved for 361,000. Lopez looked at the amount and then called. The flop came to give them both a pair with Lopez ahead with the aces. They also both had a straight draw. The on the turn didn't change the situation as Lopez was still ahead. The river completed the board with the which didn't change the outcome in the end as Lopez now improved to a straight to take Fletcher out on his second bullet. Yani Yanev shoved for 299,000 from mid-position and action folded to Gavin Chamberlain in the big blind. Chamberlain checked his hole cards and looked pained. He counted out his blue 100,000-value chips and considered what to do. After a few seconds, Chamberlain called. Yanev got up from his chair already when he saw Chamberlain's cards. The board ran out for Chamberlain's pocket fours to hold to eliminate Yanev from the tournament in the last level of the day. Mark Gardner raised to 40,000 from mid-position and action folded to Tolga Istek in the big blind. "Kings again?" Istek asked Gardner and Gardner just smiled. "Just tell me before I call," Istek said and then made the call. The flop came and both of them checked through to the on the turn. Istek now check-called the 60,000 bet of Gardner. The river was the and they both checked again. Gardner took the pot with as he had flopped top pair and improved to a flush on the river. Who Will Be Crowned the 2018 partypoker LIVE MILLIONS UK Main Event Champion Tonight?